1. I will provide Complete Report after completion of the Job. 2. All back-link is compatible with Google Panda & Penguin. 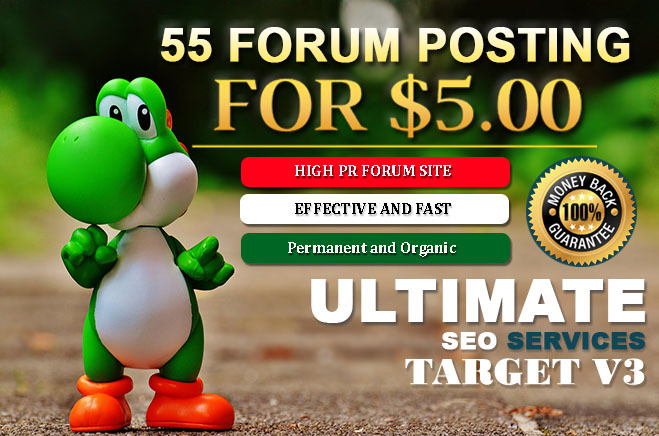 I Will Do 55 Niche Relevant Forum Posting For 5 dolar is ranked 5 out of 5. Based on 1 user reviews.